This really is a great Chateau for all of the family with so many other activities aside from just the chateau tour. The highlight of our Loire Valley week. Children jump at the opportunity to meet Julien the master watchmaker, brother Thomas, Countess Eugenie de la Plume as well as Gaspard, the bodyguard of François I. 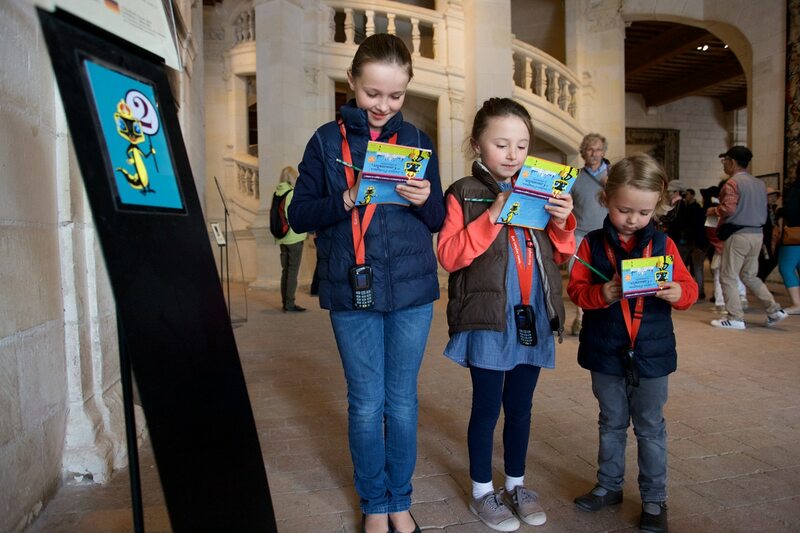 Witnesses of the shining hours of the history of Chambord, these memorable personages take parents and children alike through the castle in a whirlwind adventure. During the school holidays and some weekends (contact Chambord for information). Visit recommended for 5-to-10-year-old children accompanied by their parents. Groups limited to 30 persons. Discover the castle while having fun. Only in French. The book of Cassandra takes parents and children alike to the key venues of the château, where they will be asked to solve eight riddles. The most attentive and perceptive of the participants can discover the mystery word and earn a reward. For 8-to-12-year-old children accompanied by their parents. 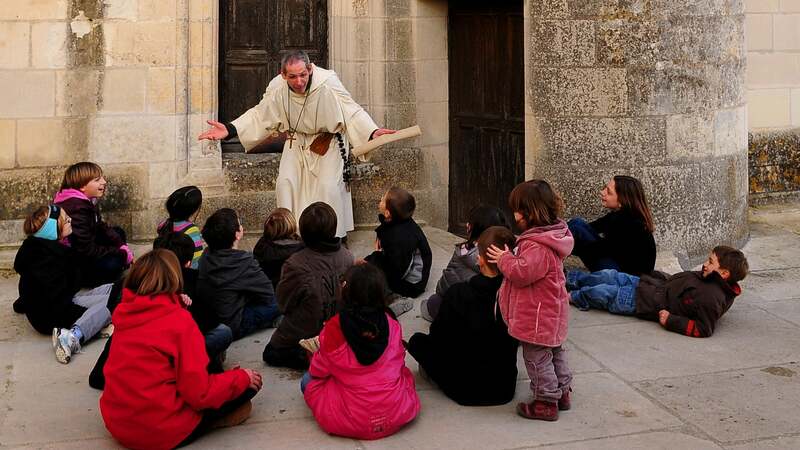 Throughout the year, the Chambord educational service addresses to teachers its proposals for animations and workshops having to do with the natural and architectural heritage. Discovery of the patrimonial wealth of the château and the surrounding park contributes to the artistic and cultural initiation of the young pupil. History, the natural and life sciences, mathematics, the visual arts and the physical sciences are among the many subjects taken up in the different visits proposed. 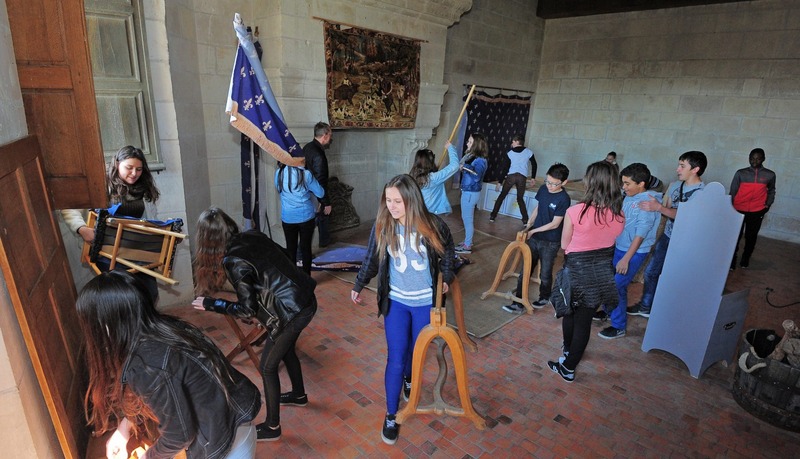 In the heart of the forest or the rooms of the castle, pupils can explore the site in a playful and participative way and thereby better understand the way of life in the day and age of the builder of Chambord.